Drobo has released storage industry predictions for the coming year. These predictions are based on the company’s interactions with thousands of customers, analysts and industry luminaries. Data Robotics announced DroboElite, the first iSCSI SAN storage that manages itself. DroboElite is a business class data storage solution that brings the company’s BeyondRAID technology to small and medium businesses. DroboElite delivers automated capacity expansion and one-click single- or dual-drive redundancy for data protection for Windows, Mac and Linux machines. The new system extends the number of Smart Volumes – Data Robotics’ unique thin provisioning that pulls storage from a common pool of drives – so that users can now create up to 255 virtual storage volumes. DroboPro is the latest storage array that has been released by Data Robotics. 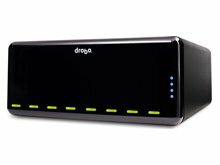 The earlier versions of the device were known as Drobo External Storage Device. This version of the storage array is designed to manage itself. It is bigger, stronger and more capacious. 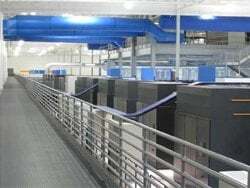 It has 8 bays and is targeted for use by small businesses and creative professionals.